4 Bedroom Detached House For Sale in Stoke-on-Trent for Offers Over £500,000. 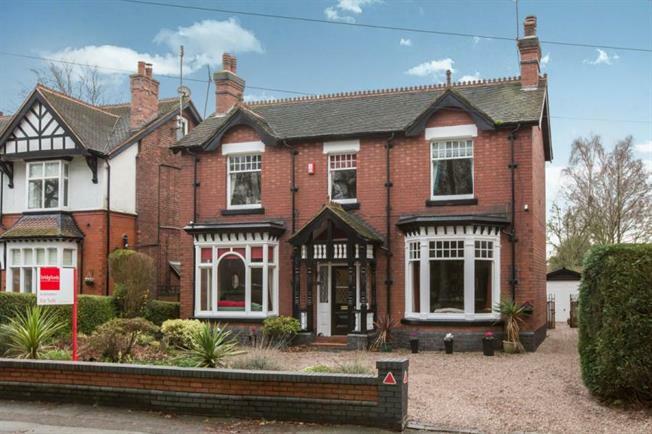 This imposing Victorian home is located on one of Alsager's prestigious locations and overlooks Milton Park. It is perfect for strolling directly into the Village and is within easy walking distance for local primary schools and the High School. It is also a very short walk to the Railway Station for those who need to commute. The interior showcases period features such as high ceilings, picture rails and deep skirting boards. The very well presented and spacious accommodation comprises, Hallway, Sitting Room, Drawing Room, Morning Room, Dining Kitchen, Conservatory, Cellar, Four Bedrooms, WC and Bathroom. Externally, you will find ample off road park and a rear garden which is mainly laid to lawn and offers excellent privacy and seclusion, together with a detached garage with power and electricity.